I’ll be honest. Size used to impress me. Not so much any more. Fraternity chapters that were huge used to make me giddy. I used to get so excited about a 75, 90, 120 man chapter. After all, I own three companies focused on growing fraternities and sororities. 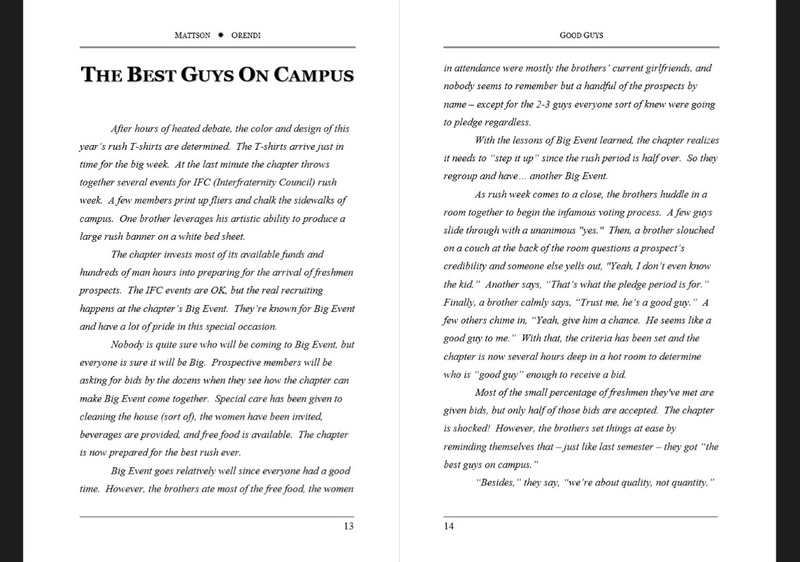 And I came from a college experience where 60 dudes in a chapter seemed like a massive horde. But I’m so bored by it now. Don’t get me wrong. If you have 75 amazing, talented, driven, focused, hard-working men, I will take notice. But it’s the “amazing, talented, driven, focused, hard-working” part that I get excited about anymore. If you have EVIDENCE (not just claims) that your members are exceptional, that’s exciting. The last decade or so has seen AMAZING fraternal growth. Almost all inter/national organizations are seeing dramatic growth right now. Despite the negative media. Despite the rising costs of college. Despite all the other options available to college students. Our organizations are huge right now. Many (me included) would argue that much of that growth is due to the surge of college students our universities have seen during the same time period. While fraternity membership is higher overall, the percentage of collegiate men who are Greek seems to be staying about the same. Which means that when the population bubble pops (as it is will soon), our shiny chapter houses might have a bunch of empty beds and angry alumni. But still, I care far more about quality than quantity. I know that’s a cliche line, but it’s true. For me now more than ever. Our fraternal movement must focus more on the quality of men we’re attracting and selecting. We don’t all need MORE people. But we do all need BETTER people. There are a few key ways to impact quality. 1. Have a lot of people to choose from. The more prospects you know, the more choosy you can be. Build your organization with quality parts, don’t toss together whoever shows up and expect it to be excellent. Quantity Drives Quality. 2. If you do marketing, don’t shout at everyone, whisper to the right people. I’ve been doing a lot of work in our marketing company (www.InnovaGreek.com), and the vast majority of what we’re focused on is helping fraternities and sororities talk to the RIGHT people in the RIGHT way. 3. 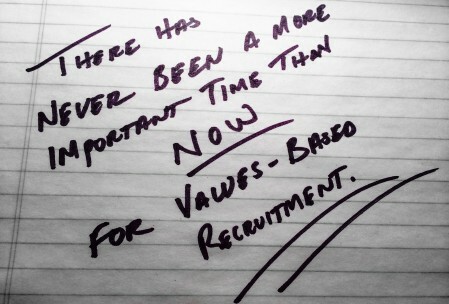 The process you use to select new members is the most important variable for any chapter. If you use the “Good Guy” approach, you’re doomed. If you use a Values-Based Selection Criteria and can offer objective measures of quality that each man must meet upon selection and maintain throughout membership — well, that’s exciting. 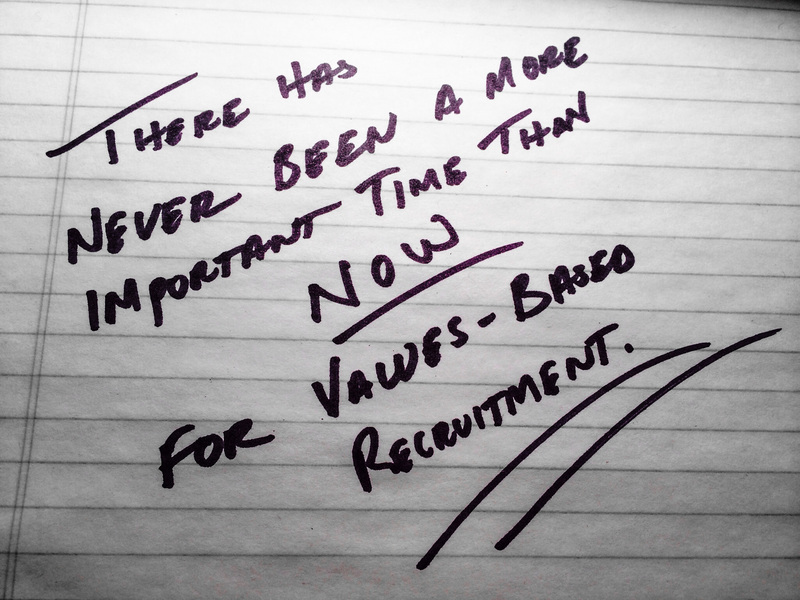 We’re working to make that easier in tools like ChapterBuilder (by TechniPhi), and by increasing the focus of our education on member selection and values-based recruitment. Being big is good. Don’t get me wrong. In fact, I think I’m bored by “size” lately because it seems like every chapter should be at least 50-60 guys at this point. The education, tools, and resources are all available. And most importantly, the arithmetic tells us that the men are just waiting for you to recruit them. There’s really no reason for small chapters in today’s fraternal world. And bigger chapters have more potential to impact the world in positive ways — I’m a fan of big. But does your chapter have top notch quality control measures in place? If not, you’re behind the curve. *Photo credit goes to whatever Pi Kappa Phi chapter popped up on Google Image search when I put “Big Fraternity Chapter” into the search bar. They looked sharp. I turned them red.